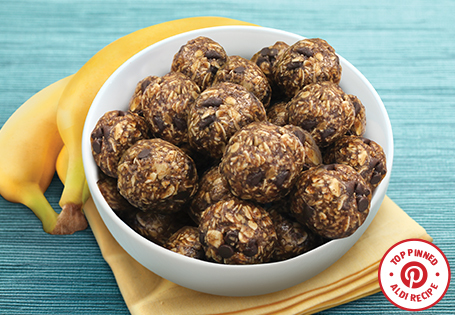 These quick and easy treats are the perfect pick-me-up on the go. In a medium bowl, mash banana until no lumps remain and it resembles a liquid. Add the remaining ingredients. Mix until well blended. Refrigerate for 5 minutes. Form into 24 portions, roll into uniform balls. Refrigerate for an additional 20 minutes to set. Keep refrigerated for up to 1 week.